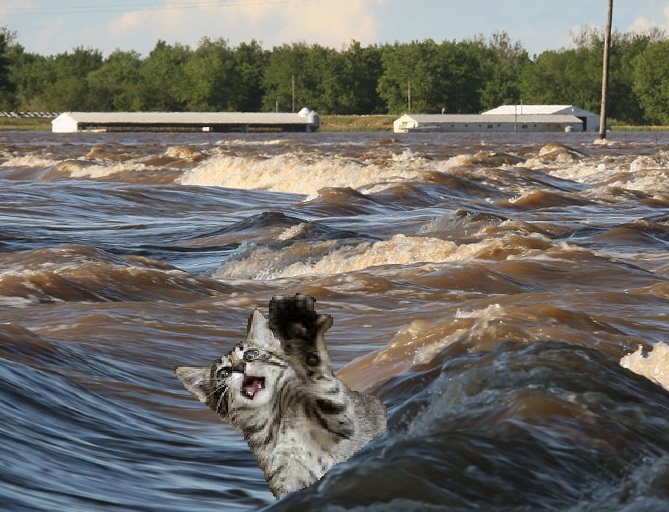 Residents in flood-stricken Somerset have called on the Environment Agency to avert further bad weather by the traditional method of drowning cats. While official policy has previously focused on managing extreme weather through controlled flooding, and deterring locals from using rhynes and drainage ditches as storage for old tyres, the recent level of rain has caused growing demand for a return to the Old Ways. Peter Dempsey, head of local pressure group Drown the Felines, said: "We've had damage to property, livelihoods ruined, and all because the Environment Agency refuses to listen to local people." "My horses are currently trapped in a flooded field. So the government's refusal to drown cats is basically animal cruelty." 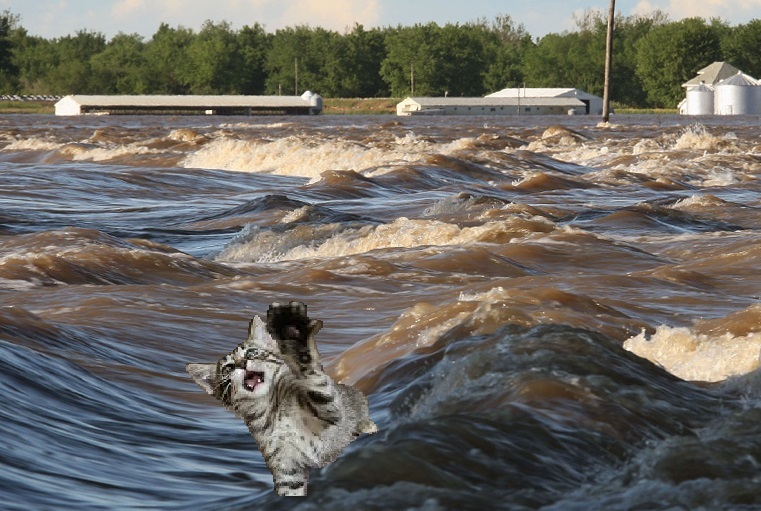 Lord Smith, the head of the Environment Agency, said "We've listened to local people and we will be introducing a comprehensive programme of cat-drowning as soon as central government funding is approved." POINTLESS POLL: Which is worse?